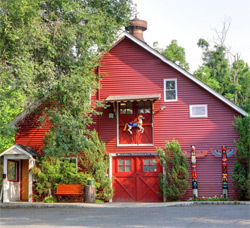 The American Woodcarving & Art School was founded in 1974 by Sculptor Michael Denike. Mr. Denike’s dream…a school that’s sole purpose is instructing and promoting the art of Woodcarving. When Mr. Denike retired, Mike Holst and Eric Bunn bought the school and added more classes. They both taught until 2006 when Jerry Cetrulo bought the school. The school now holds regular day and evening classes 52 weeks out of the year and approximately 6 weekend workshops per year. The weekly classes allow the student to work on whatever area they wish while under direction of a professional woodcarver. Weekend Seminars hosted by renowned woodcarvers from the US, Canada, and Europe, allow students a chance to train under an artist of the highest level in his or her area of interest. The school has expanded and now teaches weekly clay sculpture and watercolor painting taught by professional artists.